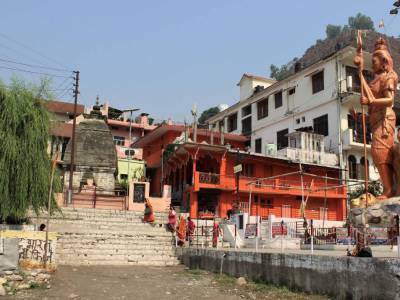 Bagnath Temple located in Bageshwar town at the confluence of Sarayu and Gomti rivers and dedicated to the Lord Shiva (who is also known as Bagnath), who incarnated himself in the form of a tiger - bagh, at this place. Bagnath Temple house Chaturmukhi shivling and many other Hindu dieties. As Per The Mythology, Brahmarshi Vashishtha was leading Sarayu from Mansarovar to Ayodhya. When both of them arrived at this place, Vashishtha found Rishi Markandey in intense penance. He thought if, me and sarayu proceed further, the noise would disturb the Rishi. So he halted there, resulting the increase in the Sarayu’s water level. So Brahmarshi Vashishtha and Sarayu requested to Lord Shiva to find a solution. 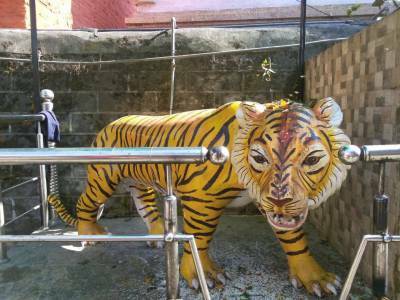 The Lord Shiva arrived with his consort Parvati and who assumed the form of a tiger with Goddess Parvati assuming the form of a cow. When attacked the cow made a noise which awoke Rishi Markandeya and Vashishtha could progress with river Saryu to Ayodhya. 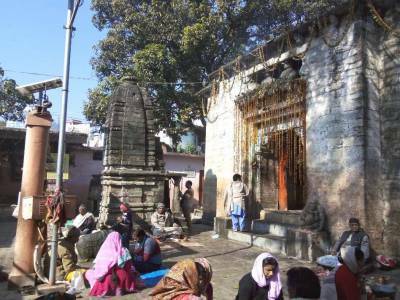 Ever since Lord Shiva is worshipped here as Tiger and the town was called Vyaghreshwar and later on Bageshwar. The temple where Shiva was worshipped was known as Vyaghranath and know is Bagnath. The present temple has an impressive Shikhar, beautiful stone structure and in the sanctum Lord Shiva is worshipped. In the vicinity there are smaller temples which are much older. 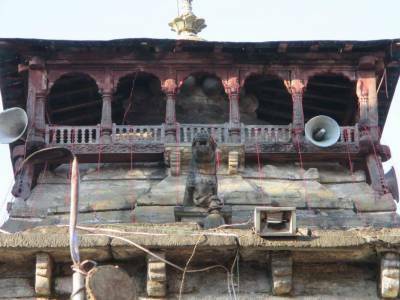 The complex has temples for Bhairava, Durga, Kalika, Thingal Bhairav, Vaneshwar and other Hindu Gods. This is a very beautiful temple and believed is built by Katyuri kings in ancient time but current structre of temple built by Laxmi Chand in the year of 1602, the temple complex sheltered the idols from 7th to 16th centuries and in the winters of January month, Uttaryani fair is held here and attended by large number of pligrims from near and far. 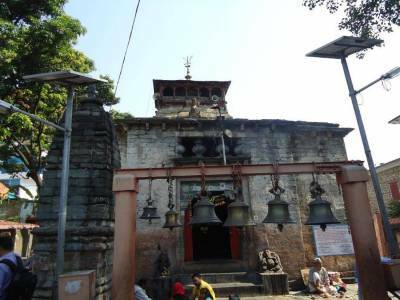 The Bagnath temple is located about just 3 kms from Bageshwar city center and about 16 kms from the kausani. Bageshwar serves as the base town for trekkers going to Pindari, Sunderdunga or Kafni Glacier. Get quick answers from travelers who visit to Bagnath, Bageshwar.